As I get ready to close my suitcase for my three week trip East I think about the great weekend I’ve just had. 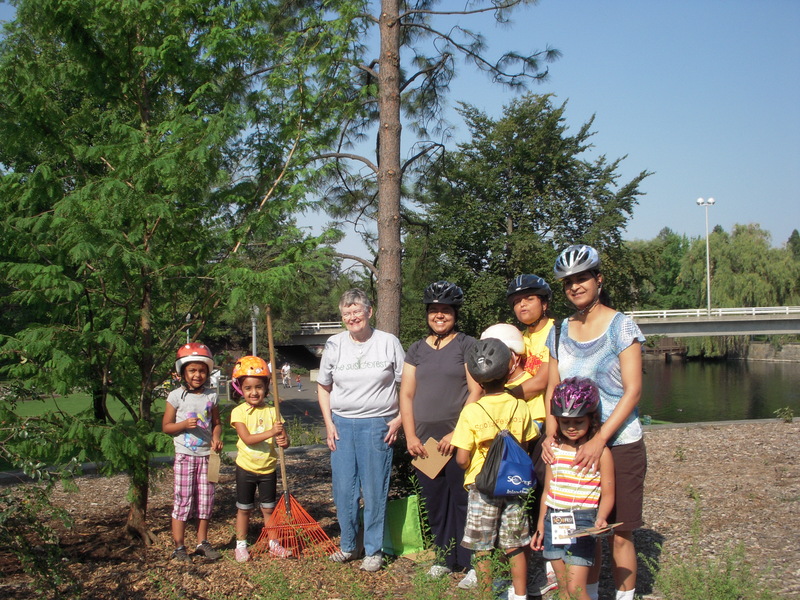 It started Thursday with a tree walk and the crowning of another neighborhood tree of the year. 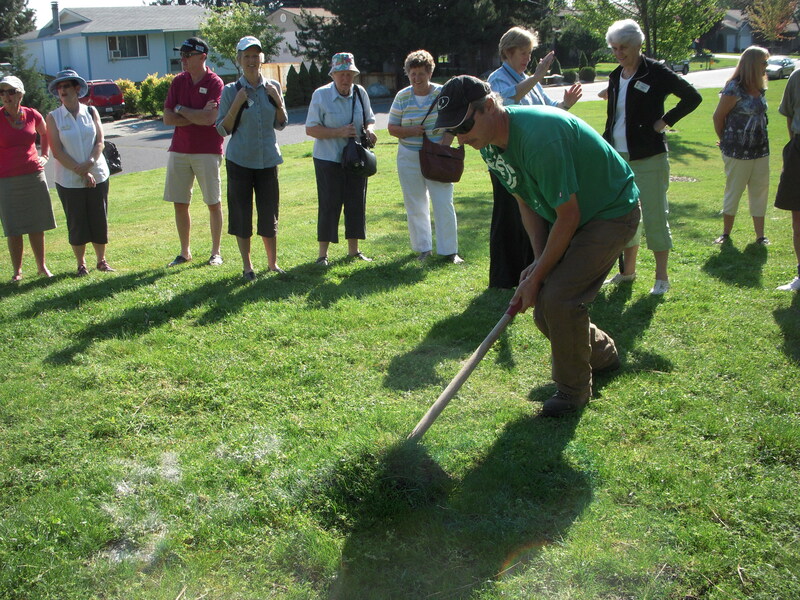 Then on Friday the great group from New Zealand planted their tree in Friendship Park. Because the quote on the bookmark is from a letter Susie wrote me from there I brought it for them to read. One man knows where she was when she wrote it and will send me picture when he gets home. Wow! 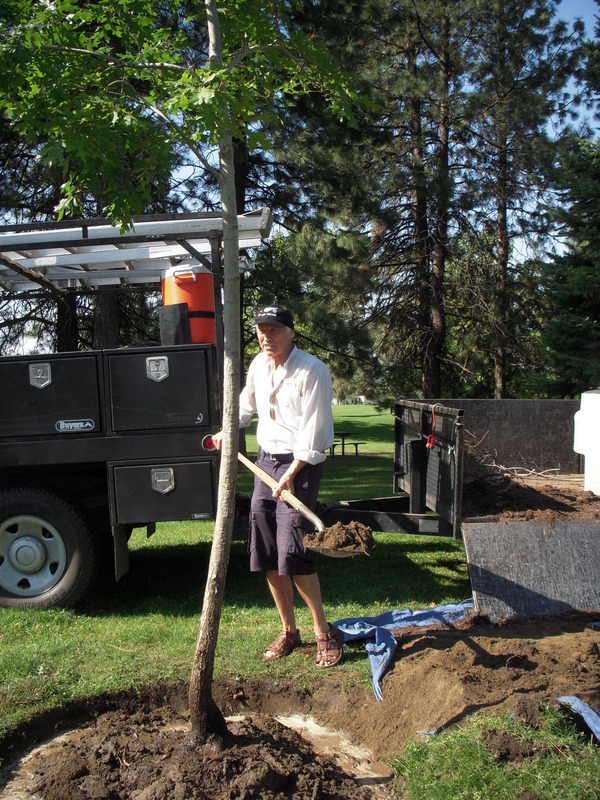 Then we put in the tree for Spokefest and Miles hid the rake under the mulch so it would be ready for the dedication on Sunday. Saturday was a day in the heat at a block party. I set up my “What’s the Susie Forest?” table and talked to candidates and neighbors about trees (and ate lots of ice cream). I was able to thank Mayor Mary Verner for the tree she is going to plant in Japan. Another hot on day yesterday at Spokefeat as I tried to lure the little riders to get off their bikes and climb up the hill to shovel some mulch and write or draw on tree-grams. We had a few enthusiastic kids and they worked hard for their tree-kibbles. Afterward I did make more connections for next year where there will be more exposure and more participation. And now I leave for Connecticut, Washington DC, and Virginia knowing I’ll be planting four trees. But there is the chance that there may be as many as eight. My suitcase is stuffed just in case.